Millie's is on the corner of East Main Street and 26th Street in the Church Hill/Tobacco Row neighborhood. Street parking is available along East Main (except 4-6pm), on 26th street and also across East Main Street a small elevated parking area accommodates more parking. Most nearby hotels also offer complimentary shuttles to the restaurant. Millie's is located on East Main Street in the Church Hill/Tobacco Row area, also just a few blocks from Shockoe Bottom. GRTC buses stop all along East Main Street for your transportation convenience. Exact location is the corner of East Main Street and 26th Street. Millie's serves up vintage style all of the time with their original table and bar-top Seeburg jukeboxes full of amazing music...always a great selection of old, new and interesting to choose from! We run a Prix-Fixe 3 Course Tasting Menu available every night for just $27, plus tax and gratuity! Choose from our current dinner menu or from the current prix-fixe menu, whichever suits your appetite! Millie's can cater your next function or event with a customized and original menu. We offer casual, mid-range or full service options to fit your catering needs. Contact us and let us plan your next party! Millie's....a Richmond landmark and locals' favorite eatery for 27 years! Millie's is where casual meets dressy, classic meets modern, comfort meets contemporary, and the menus are always changing with the seasons and chef's creative leanings. Housed in an old diner in the historic Tobacco Row/Church Hill neighborhood, Millie's has been setting the standard in Richmond since 1989 with a popular weekday lunch, modern American dinner service and great wine list and their world-famous weekend brunches. Talented chefs prepare your meal right in front of your eyes at the tiny front open kitchen. A cozy and comfortable ambiance pervades Millie's, where you can be assured of friendly and personalized service. The original diner counter serves as the restaurant's bar area, with a full ABC license and original cocktails. Millie's also boasts a 150+ bottle creative wine list with a full choice of varietal, country and price options from which to choose to complement your dinner. Join us! Millie's is always so good. Staff very welcoming and the food and drink were were both exceptional. Last Saturday evening we enjoyed yet another outstanding meal at Millie's. Having just returned from Chicago, where the extremely loud music drowned out any dinner conversation we hoped to have with our dining companions two nights in a row (even in a one-Michelin star restaurant), it was so refreshing to enjoy great food with a normal level of music in the background. The spicy tuna starter was one of the best dishes I've eaten at Millie's over the past three decades. Both my lamb sausage entree and my partner's puppy drum were cooked perfectly. These guys can compete with the best chefs anywhere. Went for dinner. 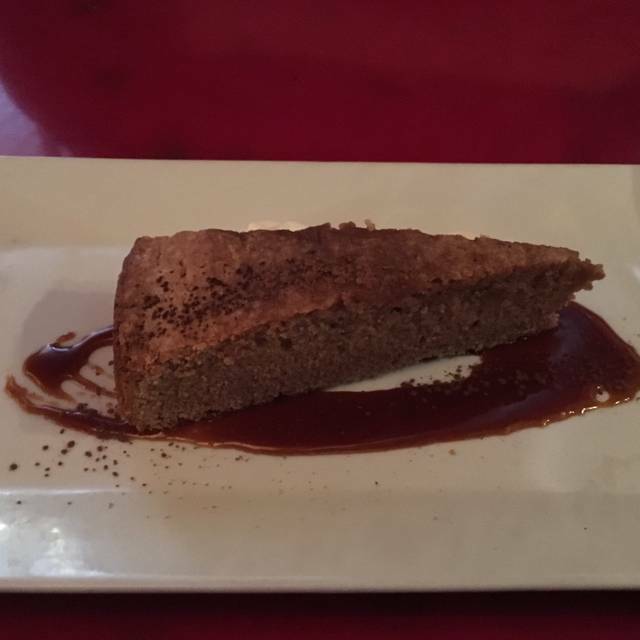 Food is inventive, which I love, but execution is uneven; some dishes are great, others either bland or "off" (the desserts in particular, which looked fascinating on paper, were texturally goopy and the flavor just wasn't right). For $100+, simply not worth it, especially with all the other amazing dinner options in Richmond. Probably won't be back anytime soon, though we might check out the brunch, since it seems that's where their strength is. Our meals were not as good as last time. Mushroom meal did not have much taste. Millie's is a great diner to go to for a casual dinner. The food is great, the service was amazing and I would recommend it to everyone! 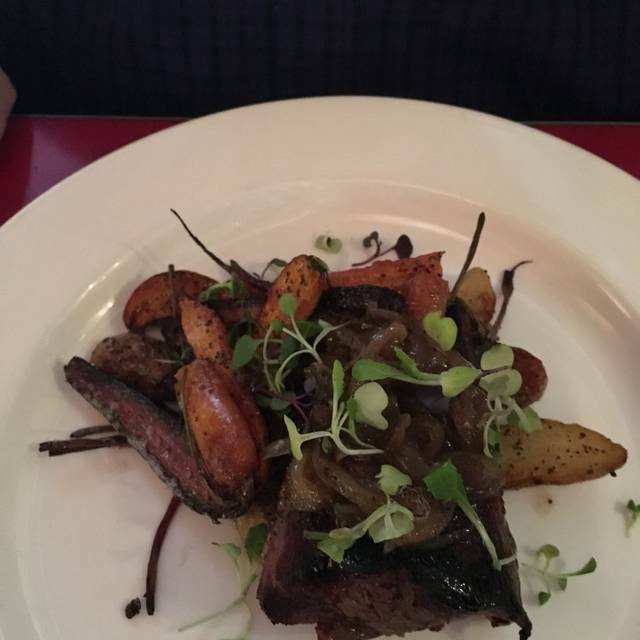 The grilled skirt steak was outstanding and so flavorful. we will be back for that for sure. The seared scallops were also quite good. The new creme brûlée was outstanding. Our waitress offered excellent recommendations, served our food timely and hot, and was very attentive to our needs. We chose Millie's based on a Trip Advisor review. We were visiting Richmond for a soccer tournament and wanted to find the local places to eat. Millie's was great- it wasn't crowded on a Thursday night. Really fun vibe. I had a thai shrimp dish as did a friend I was with, and my husband had the shrimp and grits- all food was delicious! I had so been looking forward to my return visit to Millie’s, but I was disappointed with the food. My waitress didn’t ask how I’d like my salmon prepared, and it arrived overcooked. I also felt that the salads were a bit lackluster. What a disappointment, given my wonderful meals there in the past. Four of us dined at Millie's on a Sunday evening. Among the four of us we had Caesar salads and soup for entrees, all were great. Two of the four entrees were very good, the Spicy Thai Shrimp and the Fluke. The two entrees that were beef were quite tough and tasteless. We all had the blackberry tart for dessert and it was very good. The last time we dined at Millies, we had a beef dish that was very good. I'm hopeful this was just an off night for that particular dish. Everything was spot on! We were introducing colleagues to the area, so Millie's was a natural choice. The drinks were delicious, and the range of choices was perfect for 4 eclectic diners. Would not return..disappointing experience after being a customer for many years. Food soso....and lacking knowledge of offerings by staff. Sad, disppointed....other fabulous restaurants in Richmond for special times. This was our second time at Millie’s, and our meal was even better than our first. The flavors were crisp and fresh, and we agreed that we would have been happy with almost any item on the menu. If they are serving the Orange Ginger Creme Brûlée, don’t miss it ! We three shared one, and it was a marvelous finish for an excellent meal. As always, the food was perfectly cooked and plated. My out of town guests raved about the meal for days! The service was on point. Our food was expertly prepared and delivered in a timely fashion. The lamb chops were cooked perfectly and the serving size was certainly enough, served with fresh peas and fennel. The NY strip with fennel salad was served with a reduction sauce and perfectly presented on a wooden board. We loved the main courses and highly recommend them. Great food and service. Quiet and romantic atmosphere. Classic Richmond dining spot. Millie's is always a treat. Food is always interesting, although I'm not sure I'd order the bone marrow ice cream again. Service could be a little more attentive. Lots of time with dirty plates stacked up on the table, long wait for the check when we are clearly finished, that sort of thing. Little things that could help. Brunch at this place is fantastic, highly recommend! Dinner is a different story. Not that is was bad, it just isn't brunch. The menu doesn't excite you. There is zero wait for dinner, and a line out the door for brunch so that kinda sums it up. Millie's crew is always on target; the finest restaurant I've ever eaten at. Really great people with real talent who care. Thank you for the consistently excellent service and food. Job well done! I was not told I had to order from a prepared Valentines Day menu. I would not have come. Strip steak was burnt and loaded with gristle. Seats need cushions...way too hard. The bone marrow appetizer was especially delicious! Great meal...great experience as always ! Millie's Diner is a super cute restaurant that serves anything but typical diner fare. I ate there with girlfriends prior to a show. Everyone was pleased. Our server did a great job. Several of us had the scallops and all enjoyed them. We also had the thai shrimp pasta which was delicious. They had a nice wine list, too. The reason I did not give 5 stars is because the salad was kind of gross. They only offered 2 options, Caesar and Chicory Plum. We tried the Chicory Plum. The Plum tasted like black licorice which I do not care for. I could not taste any dressing. It just was not a good salad. Other than that, it is a great place and one I would consider returning to. Portion sizes entirely to small for the amount of money spent. Not a very knowledgeable staff. It was our first time there and we will definitely be back! We got there kind of late after a show and everything was still spot on. We had a fantastic dinner with three couples. Our waiter was very attentive. The food was delicious. Two had the scallops, cooked perfectly. Two had the Spicy Thai shrimp, which is my husband's favorite all-time dish. Two enjoted the Mahi. We all shared desserts which were quite large enough. especially after eating the meals. Great place to get together with friends. Love the old character of the building. Don't let the name "Diner" fool you! Everything is beautifully plated. Definitely not the Millie's I used to frequent. 7 on on Wed night and the restaurant was empty. Unique and delicious meal with excellent customer service! 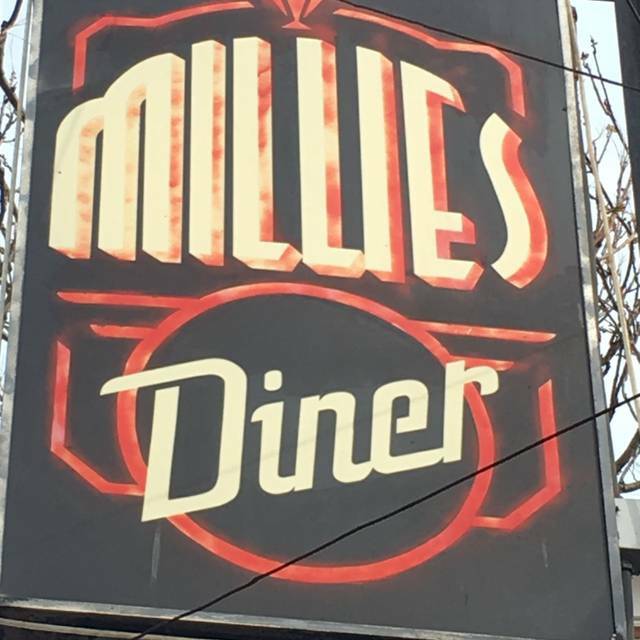 Been going to Millies for 25 years. It set a standard then, and it maintains that same standard today. Still among Richmond’s best. Pork entree was AWESOME! Highly recommended and we will be back! My friends and I thorougly enjoyed our meal at Millie's. It was my wife's and my first visit to this little gem. We made 5:30 reservations through Open Table for 5:30 PM (when they open for dinner by the way). We were the first guests in the restaurant and enjoyed the quiet atmosphere. Within the next hour, the small restaurant was completely full. My wife and two friends ordered from the wine menu. I ordered a local brew (Hardywood!). The wine was excellent (a Cab Franc for my male friend and chardonnay for the ladies). I ordered the warm tomato bisque. With the cheese and crisp bread, it was like eating a liquid grilled cheese and tomato sandwhich. Soooo good! For entrees two of us ordered the roasted rainbow rout, one ordered the Pan Seared Scallops and the other order the Thai Spicy Shrimp. The scallops and trout were perfect portions one can eat in one setting. 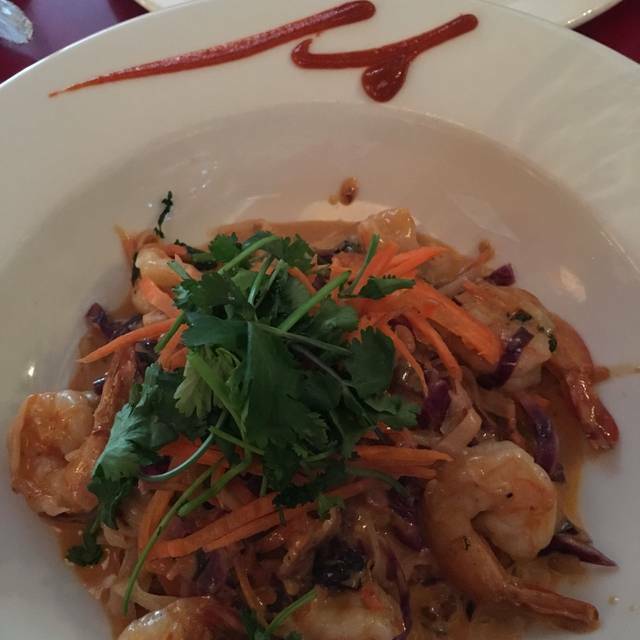 Thai Spicy Shrimp was a large portion of rice noodles, veggies and shrimp. A lot for one person to eat, so the three of us who at the other two entrees were able to eat some of the shrimp dish as well. I can say without a doubt that all four of us were very pleased with our choices. For dessert we ordered and quickly consumed a slice of a peanut butter creme brulee cheesecake concoction. We wish we had ordered more....talk about melt in your mouth. We are definitly going back often to eat our way through the menu. My wife and I had an absolutely amazing and unforgettable dinner at Millie’s. We both ordered salads to start. My Caesar Salad was made aand tasted the way Cawas meant to be. The cheese, anchovy and garlic taste were perfection Extremely hard and very rare to find it made this well. My wife’s salad was also excellent. 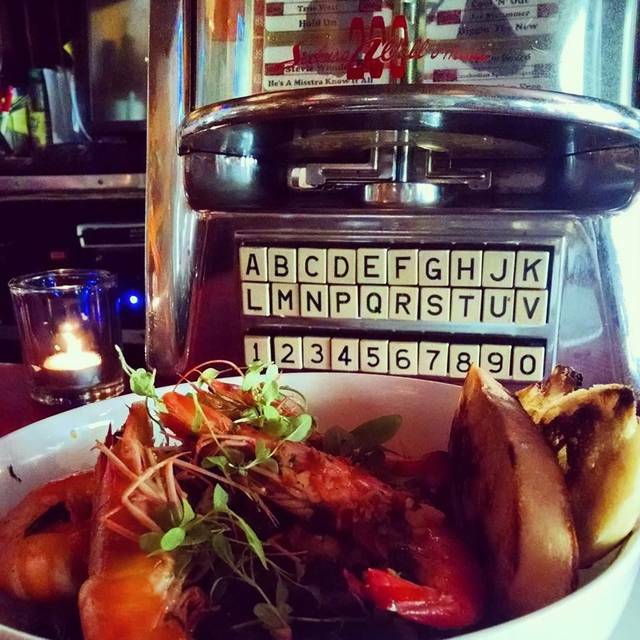 Our two entree’s, grilled lamb shank and spicy Thai shrimp were to say the least, culinary gems. You really can’t get better prepared and unique food. This is a real tribute to a extremely talented culinary staff. Kudos to a great job. Our young female server was knowledgeable, efficient and very friendly. The decor is a hip and funky casual . The wooden booths had coin operated jukeboxes. A really cool touch. Overall, a place I wish this joint was in my neighborhood. Family dinner on New Year’s Eve was most memorable with delicious gourmet dishes from appetizers to entrees all the way through to desserts. Excellent service to boot. Highly recommended. We had a delicious dinner with our family. We ordered nearly every dish on the menu, and everything was delicious. Joe, our serve, was wonderful. Excellent service and food. Seafood (spicey Thai shrimp) and veggie (poached cauliflower with farro) entrees were tastey attractive, and good portion sizes. Great food! Definitely a special occasion place! I literally never bother to write reviews of anyone. But they're perfect. So, you should go there.